A haul of AV equipment including amplifiers from Italian manufacturer Powersoft has been selected for the new LAVA Centre in the Icelandic town of Hvolsvöllur, 106km east of Reykjavik. 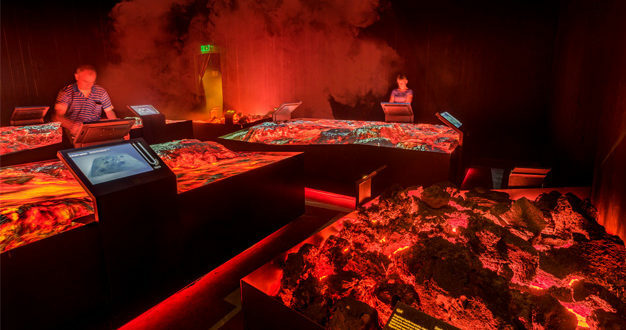 The LAVA Centre is an interactive, high-tech educational exhibition depicting volcanic activity and earthquakes, and tracing the creation of Iceland over millions of years. Its location was chosen because it sits at the heart of some of the major Icelandic volcanos and allows five of the country’s most iconic volcanoes to be seen. 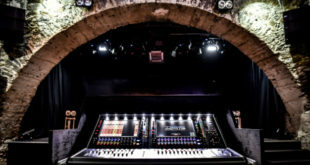 The equipment itself includes 14 Powersoft amplifiers with DSP onboard to drive the 72ch of zonal ceiling and surface mount loudspeakers, all in one of the four racks in the centralised technical room. 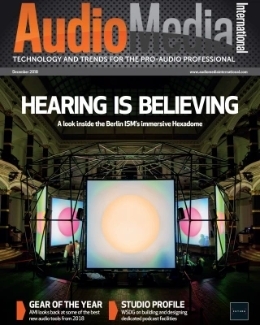 Models comprise Powersoft Ottocanali 1204 DSP+ETH, Quattrocanali 4804 DSP+D (for Dante) and Quattrocanali 2404 DSP+D, while the company’s M-Force Magnetic Linear Motor Transducers were selected to create the sonic realism of an earthquake. The design, preparation, integration and finalisation of all AV equipment for the nine main show items took almost a year. 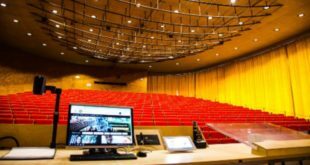 Feris ehf was responsible for audio, video, network, CCTV, UPS, system, as well as for the RGB Neopixel LED integration, AV lighting and LED equipment, and entire show control. 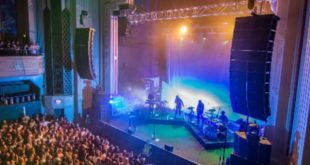 Powersoft was chosen for its green credentials and reduction in CO2 emissions while Feris realised that in specifying Powersoft multi-channel amplifiers to drive the complex array of loudspeakers, they would achieve a radical reduction in real estate and power. Feris’ project designers Jakob Kristinsson and Bergthor Leifsson selected Powersoft’s sonic M-Force to provide the capability of simulating a volcano erupting, with two M-Drive amplifiers powering two 15kW M-Force Moving Magnet Linear Motor transducers to imitate a 3.7 Richter scale earthquake, or bigger. Their purpose is to ‘move’ a floor measuring 150cm by 300cm in both X/Y axes, the first time M-Force has been used for mechanical movement. 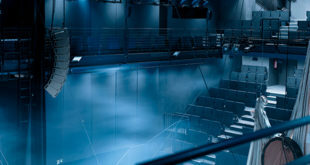 There are 15 multi-channel audio zones in use at LAVA Centre, located in 10 rooms/spaces, including an outdoor one — variously triggered by MediaMatrix and Presonus sound cards. This includes 80 x Audac speakers, 13 x Audac subwoofers, two Danley subwoofers, three Panphonics flat panels in the ceiling for spot audio, eight OnePointAudio speakers, a 632 x 360cm Stewart Filmscreen Phantom HALR screen coupled with a 7.1 surround system from PC Asus 7.1 sound card, via Peavey MediaMatrix NION n3, for the movie theatre. In the Movie theatre audio is controlled by Peavey MediaMatrix NION n3 via Powersoft DSP +ETH amplification to the 7.1 speaker setup, using OnePointAudio speakers and a Danley TH212I subwoofer. 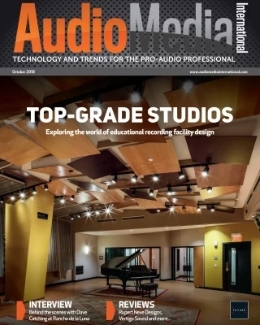 “There were several challenges in the design and specifying amplifiers and selecting the right speakers,” said Kristinsson. “Powersoft amplifiers had already been installed when the audio files started to be available. 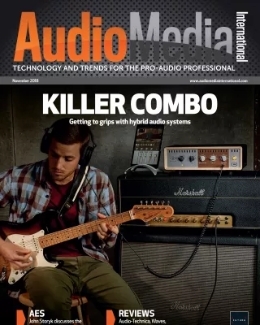 This dilemma we solved by choosing carefully ‘big enough’ speakers and amplifiers. Mostly audio is played out from ‘content’ computers, the same ones that deliver the image signal or the programs for the Neopixel LEDs. The DSP in each amplifier enables the set-up of an audio path directly from source to amplifier to speaker over all audio zones, thus preventing possible single point of failure.